I’m hooked! How do I purchase more cereal? How did you choose the name, Burning Daylight? This name comes from a hero in one of Jack London’s novels. The novel Burning Daylight was the best selling book during London’s lifetime, however, since his death, the book has been largely neglected. The book starts as a rousing adventure on the Klondike. The hero is nicknamed Burning Daylight, because of his penchant for conquering the wilderness without wasting any of the precious hours of northern sunlight. Daylight quickly becomes the most successful entrepreneur in the Klondike, then, feeling like there might be more challenges in the Lower 48, he heads south for a new series of adventures. This new life includes adventures with dastardly con-artists and flimflammers, the likes of which Daylight has never seen. Until moving South, Daylight’s understanding of men was based upon the easily discernible characteristics of frontier life. In the Klondike people are identified by their own personal cowardice or courage. But, in the more sophisticated urban setting the thieves are more sophisticated, as well. Daylight reverts to his well-founded dog-eat-dog lessons from the Yukon and becomes as much of a scoundrel as those who robbed him. He succumbs to becoming overbearing, and because of his enormous stature he bullies deals using shadily deceptive tactics while becoming enormously successful. From this high point, of useless success, he naturally begins to drink, goes soft in the belly, loses his good looks and his vitality. The last third of this novel takes a romantic twist. It turns out that the only solution to this man’s internal decay is a great woman. Dede becomes the books heroine and London portrays her with a winsome character, comprised of strength, integrity, and beauty. The best of endings comes as this charmingly good woman turns a bad man back toward wholesome goodness. That’s a great book review, but still… What’s with the name Burning Daylight? Yes, well I forgot to mention, that if you enjoy a life of adventure sprinkled with wholesome romance, then you ought to love our cereal. 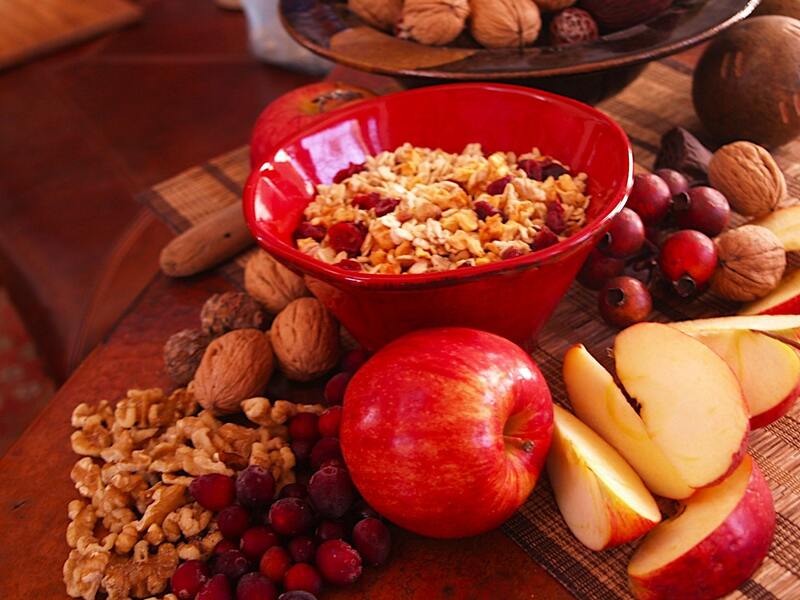 After all, to start your day in a good way, you ought to start with wholesome goodness in a bowl! Who did your design work?